Funding will cover R&D work in a number of key areas over the next four years. HPE has announced a multi-billion-dollar investment push into edge computing. At the company's HPE Discover event in Las Vegas, the firm revealed it would be investing $4 billion into the technology over the next four years as it looks to pursue the "Intelligent Edge". The funding will specifically look to target research in new products and services in a number of key areas, with HPE naming security, AI and machine learning all major priorities. The company's Aruba arm is already a world leader in the edge computing space, but this new investment will look to further the expertise even more. 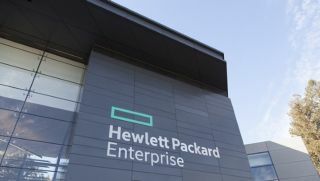 HPE quoted figures from Gartner that claims 75 per cent of enterprise-generated data will be created and processed outside the traditional, centralised data centre or cloud by 2020, up from less than 10 per cent in 2018. Instead, data in all verticals will be created and first accessed on the 'edge' - whether that be a shop floor, medical device or oil rig, and the need to quickly analyse and utilise that data is key. “Data is the new intellectual property, and companies that can distill intelligence from their data —whether in a smart hospital or an autonomous car—will be the ones to lead,” said Antonio Neri, president and chief executive officer, HPE.